Stained, discolored, or yellow teeth are one of the biggest oral health concerns of most Americans, and understandably so. Your smile is typically one of the first things people notice about you. 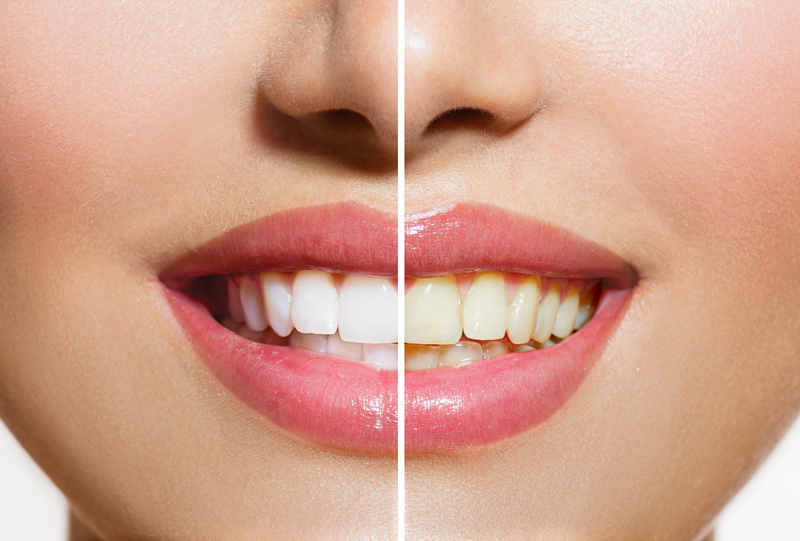 If your smile is discolored or otherwise compromised, it can be embarrassing and even affect your confidence. This is where our true laser teeth whitening services come in. Here at Cosmetic and Family Dentistry of Las Colinas, we use one of the best whitening systems in the industry, Biolase LASER. This true laser teeth whitening system differs from others in that it takes just 20 minutes to completely transform your smile to one you would be proud to flash any day of the week. This is significant because the majority of other professional whitening systems take around one hour. Other whitening systems – such as zoom whitening – can take more than an hour and are not true lasers. They use LED/plasma light coupled with whitening gel, which must sit on the teeth for an hour, causing extreme sensitivity. The Biolase LASER system can brighten your teeth 6 to 12 shades in just one visit, and with absolutely no tooth sensitivity! Not many dentists in the DFW area have invested in this revolutionary new laser, which means you will have the comfort of knowing you are provided with the best, fastest, and pain-free whitening system in the world. Dr. Anup Naik and his Dallas cosmetic dentistry team are here to answer any questions you may have and help you find the right solutions for your oral health care concerns. One of the our most popular services is true laser teeth whitening, and for good reason. Not only is this procedure pain-free, but it is highly effective and will leave you with a beautiful, white smile you can show off to your friends, family, co-workers, and strangers alike. Dr. Naik is considered one of the top dentists in the DFW area, an honor he has worked hard to achieve. Through his unwavering commitment to using the best technology in the industry and patient satisfaction, Dr. Naik has gained a reputation of a dentist who will listen to your needs and customize the services you receive accordingly. It is important to understand that not all in-office professional teeth whitening systems use a laser, which is just one of the reasons why you should choose Cosmetic and Family Dentistry of Las Colinas. Not only do we actually use a dental laser to whiten your teeth, but the entire procedure can be done in 20 minutes. This means that on the same afternoon you walk into our Irving dental clinic, you will walk out with a stunning white smile. All of our cosmetic dentistry services aim to help you achieve the smile you’ve always wanted, while taking your overall oral health into consideration at the same time. It is our goal for you to walk out of our office with a beautiful smile on your face, regardless of what you were in for. We know how intimidating going to the dentist can be for some, which is why we have worked hard to build and maintain client relationships and believe in educating our patients every chance we get. To learn more about our true laser teeth whitening system, please contact our Las Colinas dental clinic today.